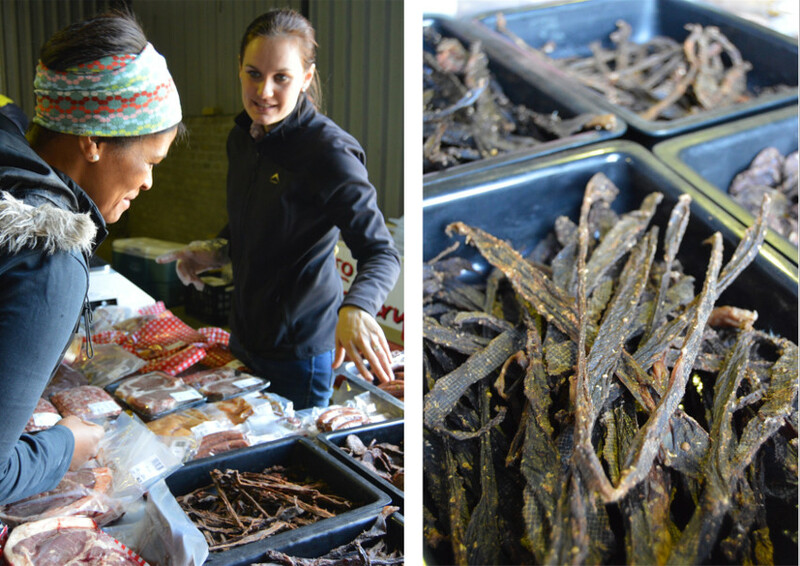 Sold out every time: Trevor Daly sells virtually all his stock at every Pure Boland Market, just as he did – for years – when he had a weekly stall at the Old Biscuit Mill in Cape Town. Even at his boutique store in Worcester, customers come in their numbers. Such great number, in fact, that Trevor and six staff members can make a living off the simplest of foods – bread. But a Daly Bread is no ordinary loaf of bread, and by now it needs no introduction at all. 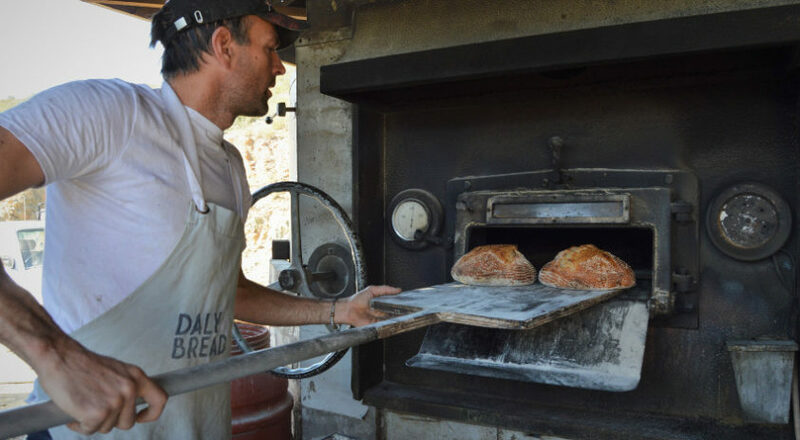 About ten years ago Trevor started baking artisan bread. 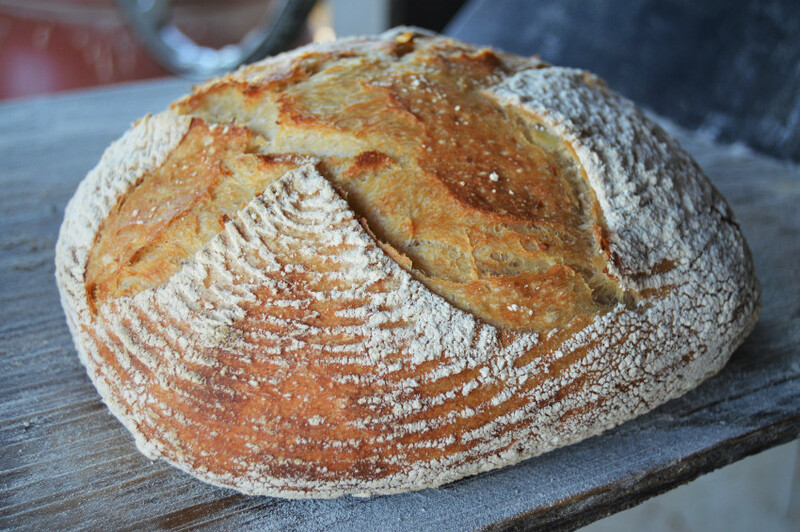 It’s made from stone-ground flour only, no unnatural additives, in a wood-fire oven. 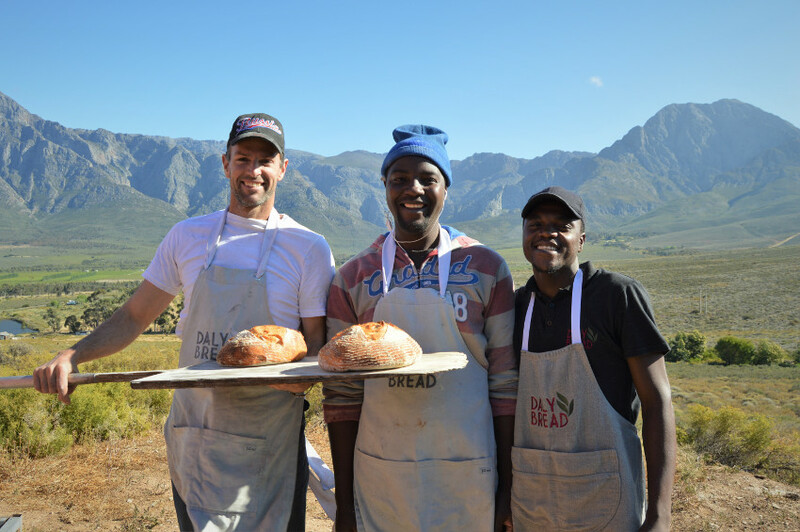 It was a hit from the start: He went from selling a few loaves at a small market in Slanghoek, to being a Biscuit Mill sensation in virtually no time at all. Then came the Pure Boland Market, or Groenstoor as locals know it. Trevor’s stall soon became one of the main attractions. 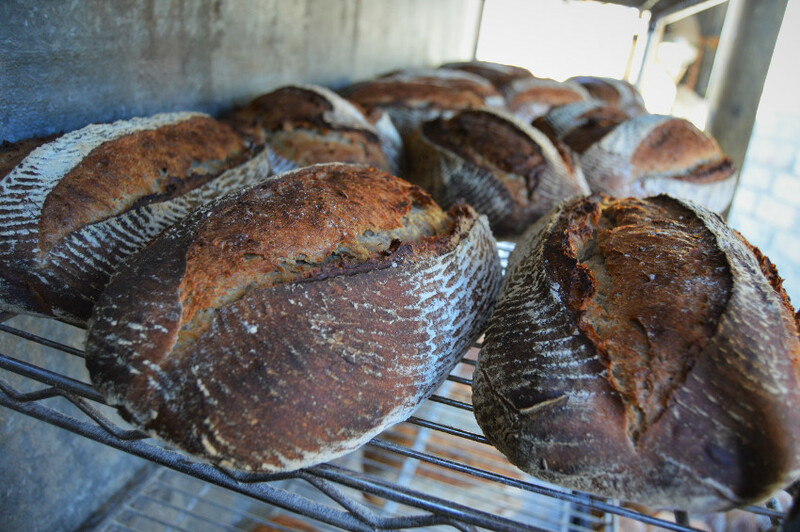 The Daly ciabattas, potato or sweet potato loaves, rye bread and “plaasbrood” are sold in the dozens. Trevor commutes between the Groenstoor and his bakery around the corner (literally) for top-up batches, but still there are no leftovers. 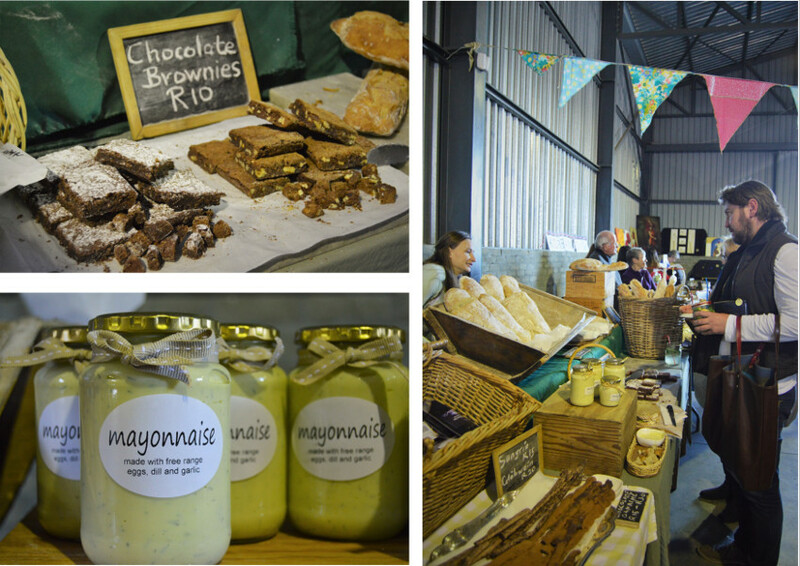 The Daly stall has since expanded to include perfect croissants (it took months to perfect them, says Trevor), gourmet sandwiches, home-made ice cream, home-made mayonnaise (a side project by saleslady Alona) and the most delicious brownies. After the Groenstoor came his own boutique outlet in town, for which he credits his mom. “She had a little kitchen and antique shop where she sold some of my bread. Many of the customers I have to this day, started buying my bread in her shop.” Trevor has also extended his business to supplying other shops in town. “I guess one of the reasons people buy it is because it is so filling; it feels like they actually eat something,” Trevor says. 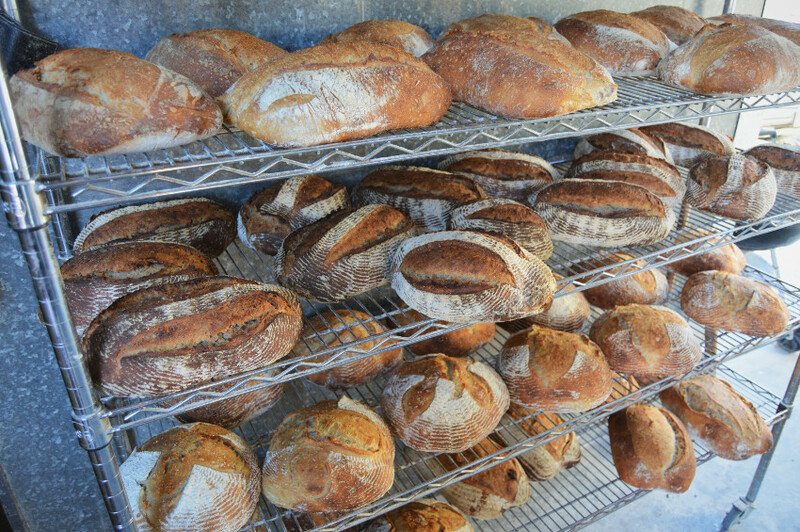 But there are other compelling reasons too: The radical difference, in taste and texture, to over-processed supermarket bread; the natural ingredients; the visual appeal of those fire-baked crusts; the noble cause of supporting locals. And of course there’s a little bit of psychology at play: it FEELS luxurious to take a designer item home. Trevor came back home and started producing what he couldn’t buy. Trevor’s bakery has a story of its own. Two shipping containers-turned-kitchen and a larger-than-life oven that can take 80 loaves at once, sit on a hillside in Brandwacht outside Worcester. Getting his hands on the oven was a bit of a lucky break. He had dreamed about owning a particular oven, made in Spain, which he just couldn’t afford. Then he heard about a decommissioned model of the oven in a Pick n Pay bakery in Cape Town. He jumped at the opportunity to buy it second-hand. 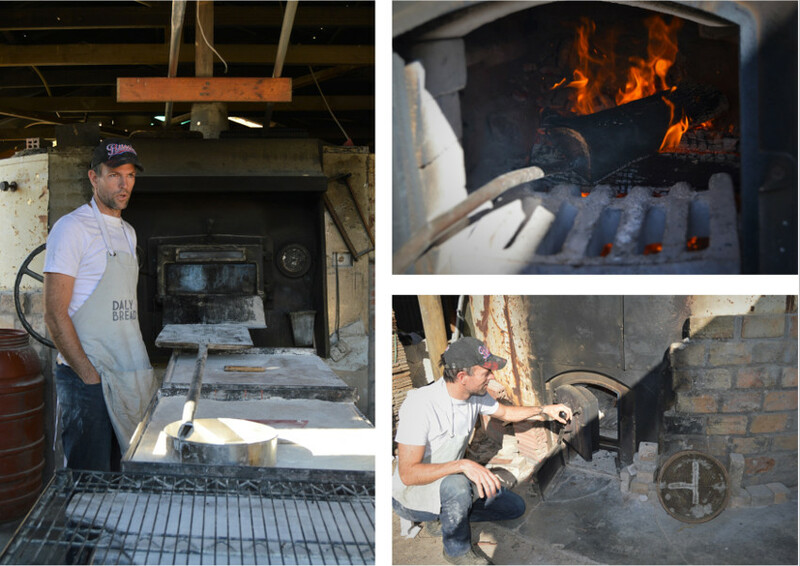 With the help of a retired local railway welder, he took apart the oven in Cape Town and reassembled it near his house. 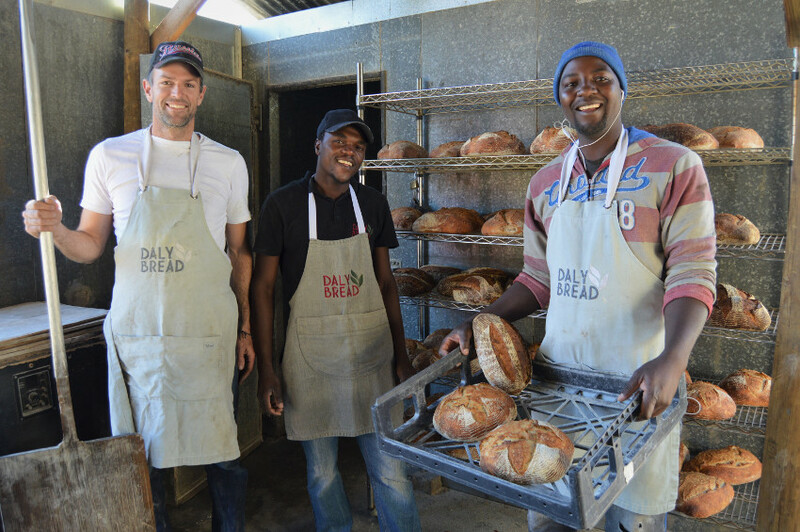 Nowadays Trevor and his fellow bakers efficiently work their way through 400 kg of flour each week – 80 loaves at a time. “I am very privileged, and grateful, for the kind of support I have. 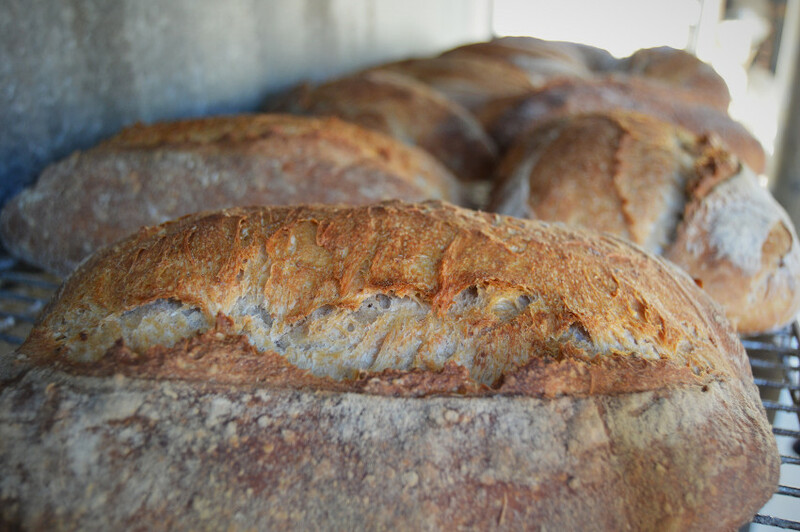 What really surprised me is that 95% of the bread we bake are sold and enjoyed right here in Worcester. 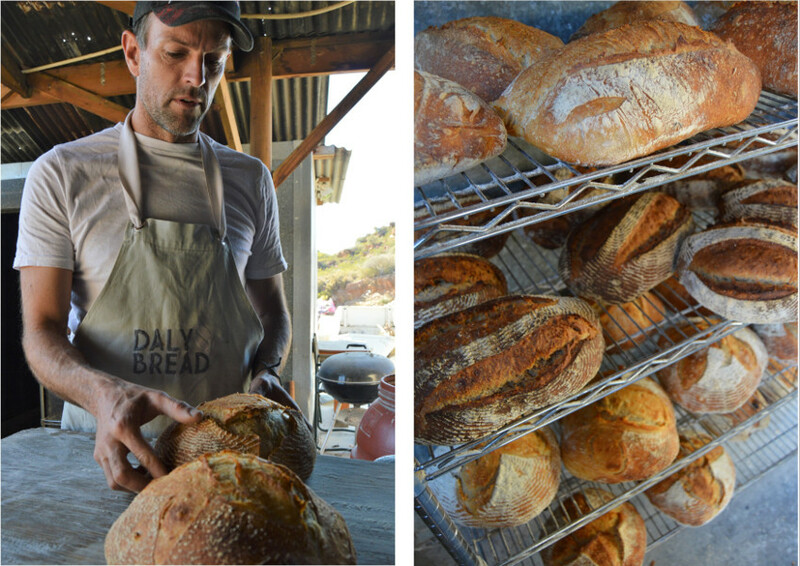 Trevor’s Daly Bread is available at the Pure Boland Market each first Saturday of the month. • For more information on the Pure Boland Market, click here. Trevor, Kuda and Reggie in the bakery in Brandwacht. Trevor at the oven which he was lucky to buy second-hand. 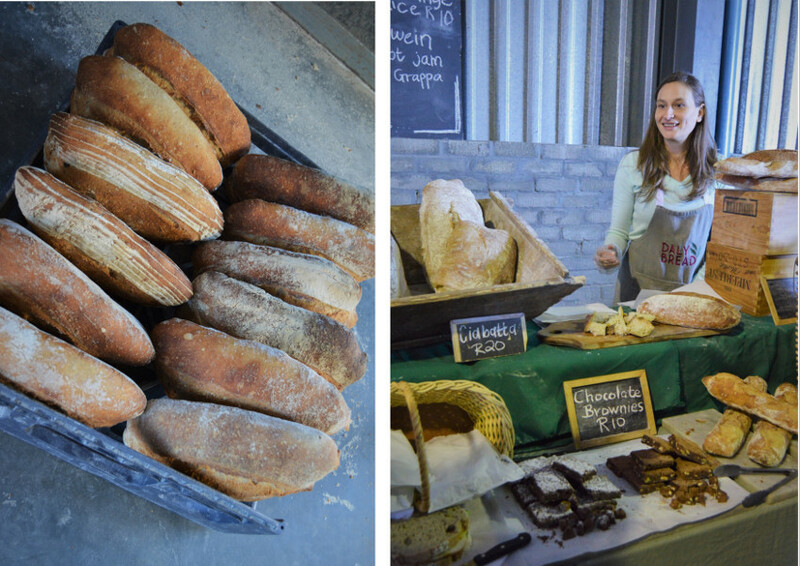 Alona, well known by Daly Bread customers, at the Pure Boland Market stall. Trevor says he chose the location for his bakery with this view in mind.